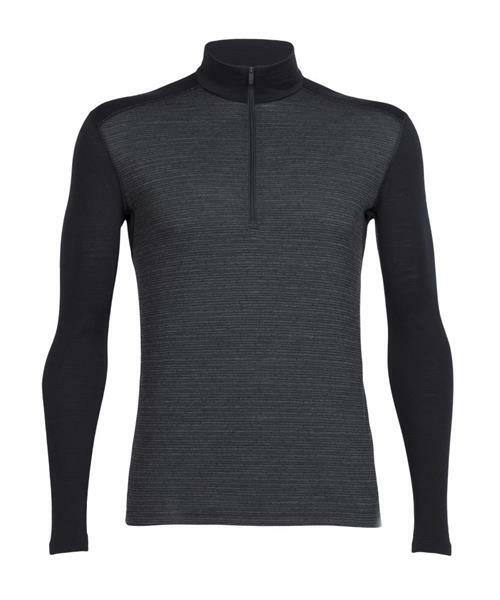 A reliably classic shirt for year-round versatility and breathable comfort, the Men’s Oasis Long Sleeve Half Zip Toothstripe is a lightweight baselayer top primed and ready for everything from far-flung travel adventures to weekends skiing at the resort. Featuring 200gm 100% merino wool fabric, the Oasis Long Sleeve Half Zip provides easy layering, high breathability and natural odor resistance. Offset shoulder seams and flatlock stitching eliminate chafing when you’re wearing a pack or moving fast. The half-zip design makes for easy temperature regulation during high-output days or variable temperatures.